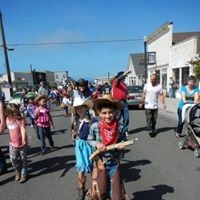 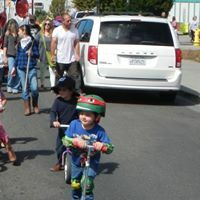 The Kiddie Parade is a short, fun procession where kids can show off their creativity. 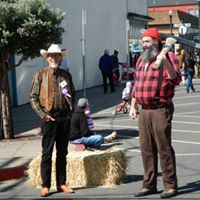 Registration begins at 11:00 and the pageantry starts at 11:30. 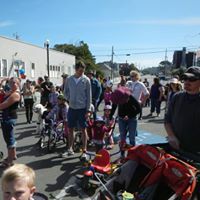 This parade is for kids 0-12 and their adult companions. 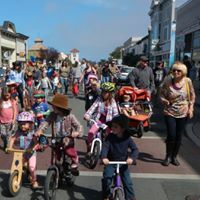 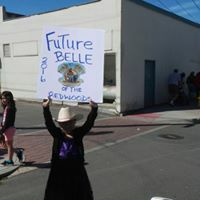 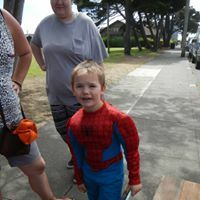 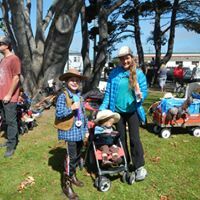 Kids on foot, in wagons, on bikes, with animals, pretty much anything they can dream up, are welcome to participate. 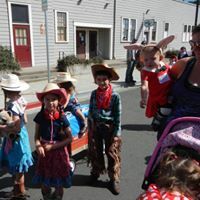 Entrants are grouped by age: 0-4, 5-9 and 10-12. 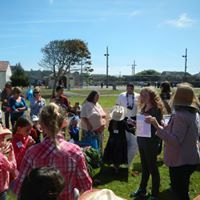 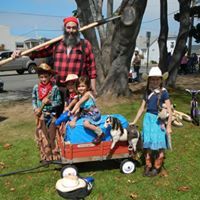 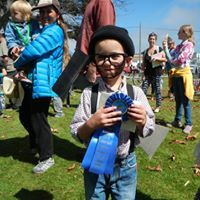 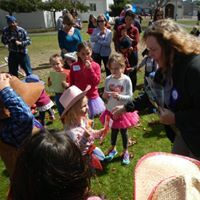 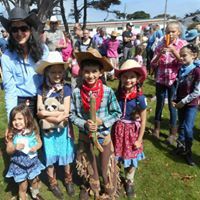 Participants can choose the “Under the Big Top with Paul and Babe” theme or the “Happy Reading with Paul and Babe” theme where they come dressed as a favorite book character. 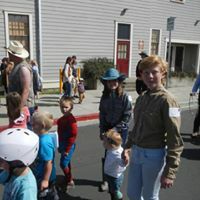 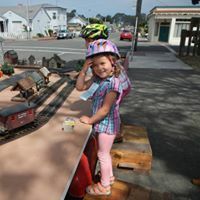 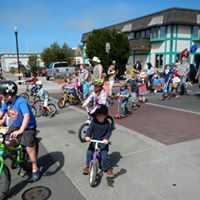 Fort Bragg Library is hosting the event and sponsors include Friends of the Fort Bragg Library, Fort Bragg Cyclery, Cowlicks Ice Cream, and the C.V. Starr Center. 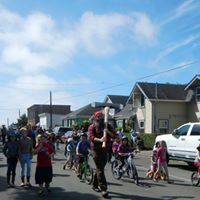 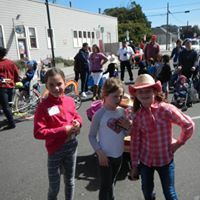 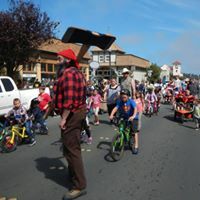 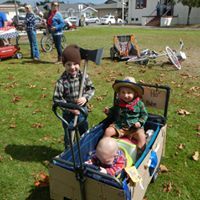 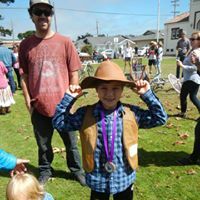 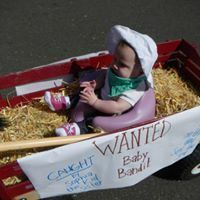 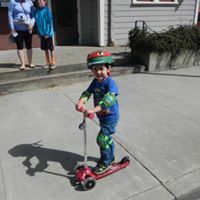 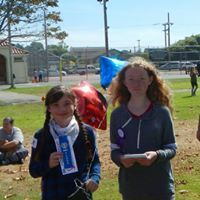 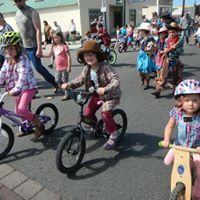 The Kiddie Parade, a part of the festivities planned for kids over Labor Day Weekend, is preceded by the Tricycle Race, 9:30-10:30 am on Saturday and followed by the Kiddie Games, at Bainbridge Park, from 12-3. 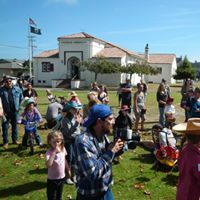 Also, at the Vets Hall next to the park is the Friends of the Fort Bragg Library Annual Labor Day Weekend Sale, Sat. 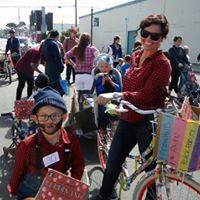 10-5, so, take a break from the kiddie fun and shop the book sale to help support your local library.